The Main House at Bellman Houses in Winster, near Bowness-on-Windermere sleeps 7 people. 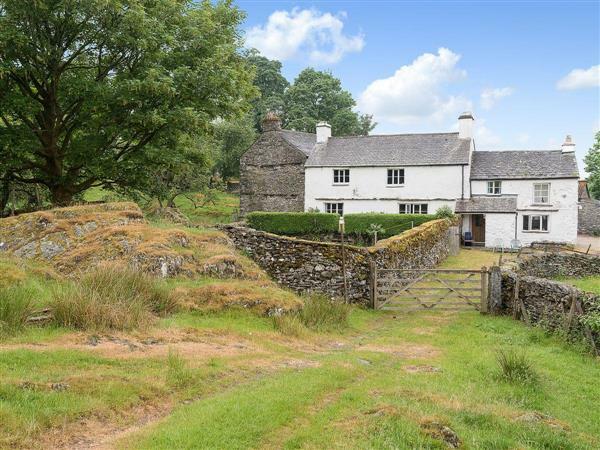 Bellman Houses are set in the wonderful countryside of the Winster Valley, in 120 acres of working farmland, and yet just a 5-minute drive from Bowness-on-Windermere. Stunning views over Lake Windermere towards Great Langdale can be seen on the single track approach, with wonderful local walks direct from the doorstep. Bellman Houses have been owned for three successive generations by the same family, and their sympathetic extensive restoration over the years, using traditional methods and materials reflect the local custom and heritage evident today. 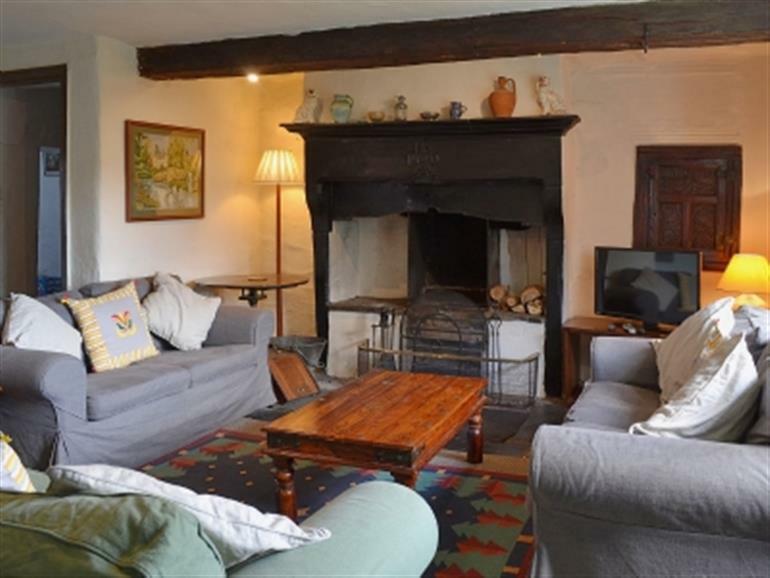 The Main House (ref 30863) sleeps 7, and is a 16th-century, Grade II listed former farmhouse that retains many original features with timber walls, flagstone floors, beamed ceilings, original fireplaces and the original oak panelling between the bedrooms. The Cottage (ref 30864 [The Cottage]) sleeps 3 and has stunning, rural views from almost every room. On the site can be found a wonderful example of a spinning gallery in the traditional ’Bank Barn’, one of only a handful of surviving examples in the UK. The shop, pub and restaurant are 1½ miles from Bellman Houses. Please note: The Main House (ref 30863) and The Cottage (ref 30864 [The Cottage]) have an interconnecting door and can be booked together to sleep up to 10+1 people. Step to entrance. Ground floor: Living room with beams. Dining room with flagstone floor. Kitchen with flagstone floor. First floor: 3 double bedrooms, one with additional single and wooden floor. Bathroom with shower over bath and toilet. Shower room with toilet. Open fire in living room (initial fuel included). 32 Satellite TV. Combi microwave/oven/grill. Dishwasher. Fridge/freezer. Enclosed, lawned garden with patio and furniture. Both properties: Oil central heating, electricity, bed linen and towels included. Travel cot. High chair. DVD. Electric cooker. Shared laundry room with washing machine and tumble dryer. Shared lawned garden. The is shared 120-acre farmland at Bellman Houses. Shared barbecue. Parking (3 cars). Cycle store. Natural water supply from spring. For a better idea of where Bellman Houses - The Main House is, you can see Bellman Houses - The Main House on the map below. Bellman Houses - The Main House is in Cumbria; should you be on the lookout for a special offer, you can find all the special offers in Cumbria. It's always worth checking to see what is on offer at the moment. Do you want to holiday near Bellman Houses - The Main House (30863), you can see other cottages within 25 miles of Bellman Houses - The Main House; have a look to find your perfect holiday location.